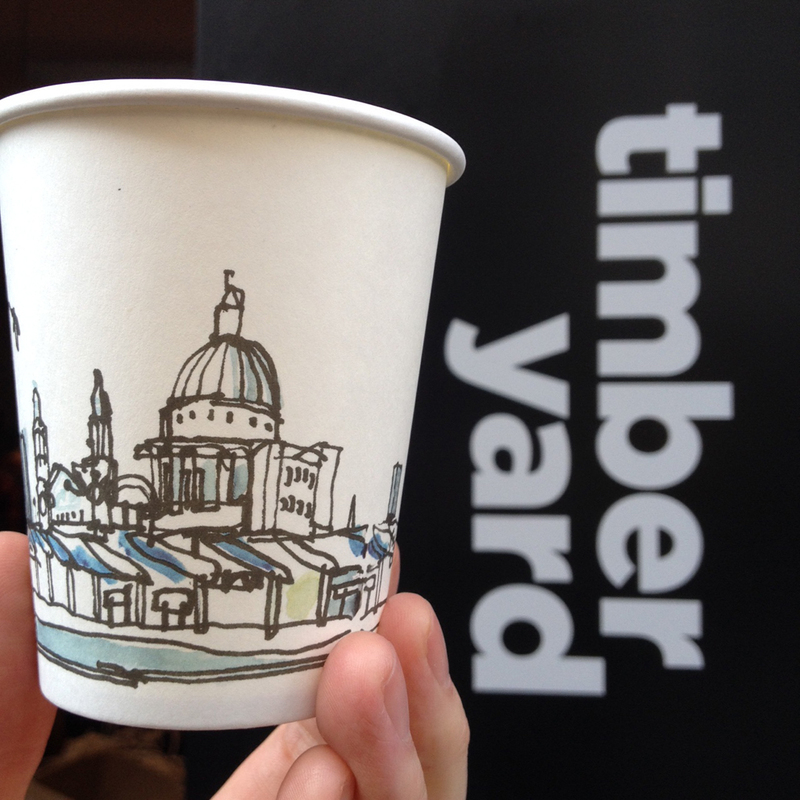 My drawing of St Paul's and the city skyline are on the takeaway latte cups of the Timberyard chain of coffee shops for the next few months (while the stocks of 50,000 last). Get a latte, get a drawing. 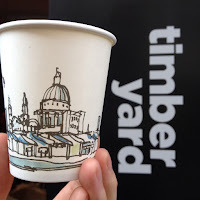 It coincides with an exhibition of drawings by the London Urban Sketchers group from 2 November to 30 April 2016 at the brand new Timberyard Soho branch (4 Noel Street, London W1F 8GB). I'm showing (and selling) prints of the drawing (below) — email me for details. 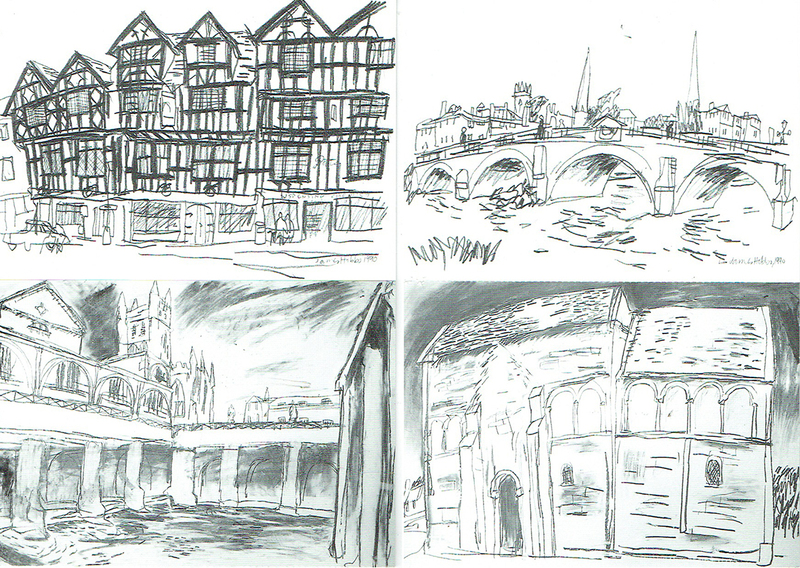 I drew the view from Blackfriars Bridge as I cycled home one night after work. I've always liked the way the taller buildings towards the east appear over the top of the solar panelling of the railway station that spans the river: the Barbican towers, St Paul's, Tower 42, Cheesegrater, and a glimpse of the Gherkin pop up. There's another second part of the drawing that continues around to the south, showing the Walkie Talkie, Shard and Tate Modern. I drew it all with my cycle helmet on. The bridge is the only one in central London that runs directly north-south, so the sunsets viewed from it can be spectacular. (It sounds ridiculous, but close your eyes on the windier days and it's the closest London has to offer to the feeling you get by standing on top of Henna Cliff, Morwenstow. Traffic, planes, sirens, commuters, architecture and everything else apart, that is.) The bridge isn't a friendly place for cyclists, but I like it.